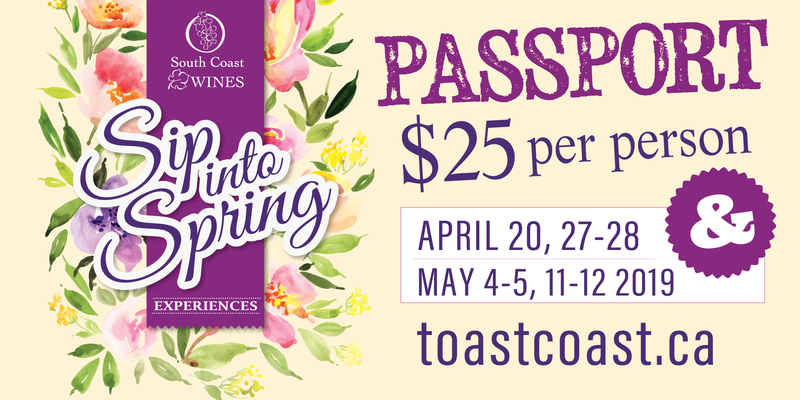 Purchase a passport for $25 from any participating winery or brewery. Your passport will entitle you to a free unique tasting experience at each stop. Once you’ve completed the passport, turn it in for a chance to win the ultimate gift basket filled with libations… just in time for patio season! Passports are valid for all four (4) weekends. 519-586-2256 Open 11 am to 5 pm 2016 Pinot Noir Savour our Front Road Cellars 2016 Pinot Noir alongside a delectable mushroom, caramelized onion and thyme bruschetta. A perfectly suited match that showcases the best of Norfolk County. 519 428-2886 Saturday 11:30 am to 12 am (Closed Sundays) Any 2 pours of our newly released beers Come try our small batch beer offerings from our new beermaker. Sample any two pours of our newly released beers. These latest brews are sure to impress! Open Sat & Sun 11 am to 5 pm Don’t Count Your Chickens Tantalize your taste buds with a sampling of The Blue Elephant’s spicy thai green chicken curry complemented perfectly by our crisp & citrusy ‘Don’t Count Your Chickens’ white wine. Le Chocolat du Savoie. Also, receive a voucher offering a free tasting for a return visit, a free flight at The Hometown Brew Co., a discount for Magnolia Hospitality restaurants, and 10 Adventure Dollars to use at Long Point Eco Adventures. (Closed Easter Sunday & Monday) 5 oz. Beer Sample Join us in the taproom to enjoy a 5oz. sample of your choosing along with one selection from our snack flight menu. Chardonnay paired with everyone’s favourite childhood treat of vanilla wafers. Opening Full Time May 2, 7 Days a week 11 am – Sunset 5oz Beer Sampler of our Brewers Series – stop by and enjoy a pony pint of our ever-changing list of new & different beers. Welcome Home! 519-420-9097 Open Sat & Sun 11 am – 5 pm (Only open on weekends, Closed on Easter Sunday. Open on Easter Monday 11am – 5pm) Cider Ciders with brie, apple & honey crostini. 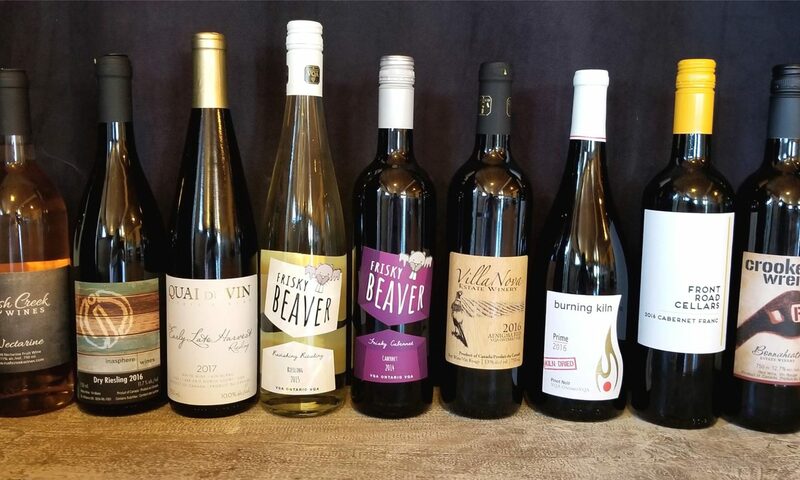 519-410-5930 Open 11 am to 5 pm (Closed Easter Sunday & Monday) Sweet Riesling What makes you think Spring? How about our easy drinking ‘sweet’ Riesling? This wine is fresh and crisp with an abundance of flavour. Pair this with a dessert that is simple, light and sweet – Strawberry Shortcake with a dollop of whipped cream. The fruitiness and touch of effervescence of this wine brings out the flavours of the fresh strawberries and the cream. Yummy! just in time for Spring. A perfect wine for any occasion. (519) 443-8787 Open 11 am to 6 pm Maple Bock Beer Locally made Macaron from Seed Confections, made with our Maple Bock Beer. 519-582-1444 Open 11 am – 4 pm (Closed Easter Sunday, open Monday) New Release Come in and be one of the first to try our newest release Ramblin’ High Road! Enjoy with a sampling of Original Picard’s snacks. Award Winning RCW Black Currant Wine RCW Black Currant Wine paired with Gunns Hill 5 Brother’s “Smoked” cheese. 2016 Aenigma White A new release, our 2016 Aenigma White is a blend of Vidal, Riesling and Pinot Gris. Lime, floral and minerality notes dominate with a hint of sweetness will will be paired with gooseberry jam & double cream brie on crostini. Cherry Wine Cherry wine and chocolate! Need help navigating to participating locations? Click our Toast the Coast Trail map to plan your trip.